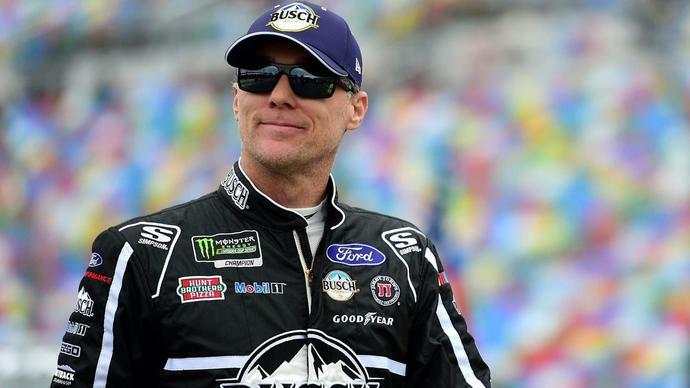 Kevin Harvick believes Sunday's crash-marred, rain-plagued Clash should be the last edition of the exhibition race that kicks off the Cup season at Daytona International Speedway. During his weekly "Happy Hours" program Monday on SiriusXM Satellite Radio's NASCAR Channel, the 2014 series champion laid out his vision how NASCAR could change the event. "The Clash is one of those things that I think we could probably eliminate as we go forward and look at the new schedule," the driver of the No. 4 Ford for Stewart-Haas Racing said. "The reason I say that is you're trying to bring a lot of guys into the race. "Originally when The Clash was brought about, it was about the pole winners and past winners of that particular race. They had a lot of guys that weren't pole winners. And you have guys in the playoffs that were in the race." "To me, it would be good to combine with the All-Star Race," he said. "Maybe you take two positions in the All-Star Race because you're always on the edge of, 'Is that enough cars? Is that not enough cars?' But take The Clash away. Make it a points race. Or make it one of the weekends we take off the schedule." "As we talk about money and saving team owners money, Joe Gibbs wrecked five cars," said Harvick, who crashed in practice and the race. "Three hundred thousand dollars a car adds up pretty quick." Annett, who picked up his first career Xfinity Series win at Daytona in February, played with the Sharks captain in 2003-04.